The Pope's arrival dominated the early part of the week on radio, and even us grouchy atheists can't have too much problem with that. This is, after all, a major world figure and the inheritor of a two millennia-old cultural tradition, visiting Ireland for the first time in almost 40 years; it doesn't happen every day, and it's right to give it extensive coverage. Radio 1 went a little over-the-top - by Saturday it felt like something close to round-the-clock live commentary - but we will, in suitably Christian fashion, forgive them this. Overall, the problem wasn't so much with quantity as with tone. A lot of it, across different stations, seemed to reside at either one of two far-distant poles: overly reverential or by-the-numbers fault-finding. You know the sort of thing. On one hand, people dreamily waffling on about their personal faith as if God were a provable, concrete thing. On the other, pinch-mouthed bores lecturing everyone about how this whole thing is a disgrace and Ireland has moved past all this nonsense, Marian, and how many hospital beds could have been bought with that money et cetera et cetera. That said, I realise that it's nearly impossible to get these things exactly right. Radio did a pretty good job, all told. There was some interesting discussion of the different facets of Francis' trip - social, historical, cultural, political, theological - and (valid) criticism of his and his Church's failures on child protection. Ivan Yates, on Monday's Hard Shoulder (Newstalk, Mon-Fri 4pm) summed up how I imagine most normal people felt about the whole thing: they were somewhere in the middle. (Ivan "enjoyed all the pageantry and spectacle of it".) Neither awed in devotion, nor embittered and antagonistic. The same presenter then declared how "it's always a pleasure to welcome Fr Brian D'Arcy" - and you know, it's always a pleasure to listen to him. 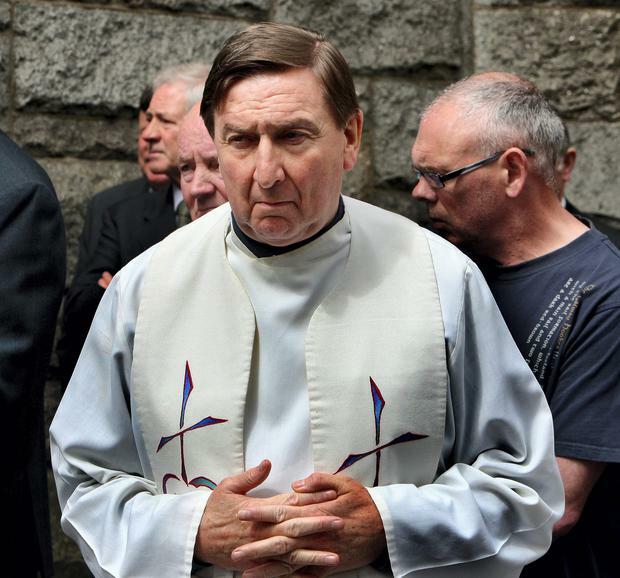 Fr Brian really is one of life's genuinely good guys: everything you'd hope for in a follower of Christ, and living reproof to that tiresome question, "But what good has Catholicism ever done for Ireland?" For me, the best part of this Papal visit was that it reminded me to listen to Vox Nostra (Lyric FM, Sun 7am) for the first time in a while. A millennium of vocal and instrumental music, both sacred and secular, hosted by the mind-bogglingly impressive Renaissance man Vlad Smishkewych. Hyperbole is an ever-present danger in writing, but Vox Nostra genuinely is incomparable. There's nothing quite like it. There never has been, at least not that I've come across. I don't like all the pieces Smishkewych plays, but I love everything about this show. It's the perfect example of why Lyric is so great, and so important.